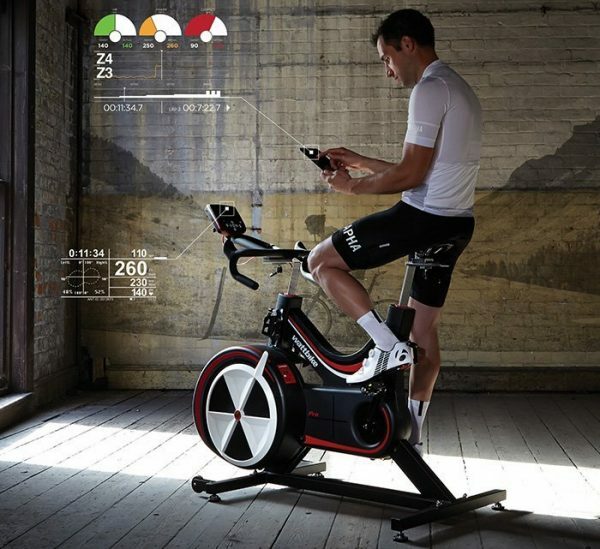 The Wattbike is an exercise bike that measures your power realtime. Moreover, in a ‘Polarview’ he shows the distribution of forces on the pedals at every 360 degree revolution. This way you can improve your pedaling technique during training and you will immediately notice that you achieve a higher speed with less energy. So on the Wattbike you train two important aspects of cycling: technique and fitness. We perform the technique analysis on the Wattbike, the perfect training bike for cyclists. The cycling feeling on the Wattbike is optimal due to its different types of resistances (air slide and magnetic brake) and the extremely reliable power measurement. Many top-sport teams use the Wattbike, including British Cycling, KNRB and SKY Pro Cycling. For customers from Belgium and Luxembourg, please contact 020 33 77 136 or mail to info@wattcycling.nl .